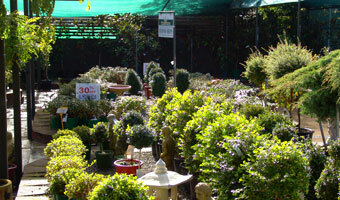 Portstone Garden Centre has been a family owned operation for over 27 years and we take pride in delivering top service and gardening advice to our customers. Our staff are knowledgeable horticulturists who have won the ‘Yates Garden Retailer of the Year 2010’ for ‘Best Product Knowledge’. As well as knowing conventional gardening practices, our staff are also sympathetic to organic philosophies and can offer expert advice on natural and chemical free gardening. We have a number of organic products including sprays and fertilizers to choose from. In our on-site nursery we manage our plants as organically as possible, feeding with liquid seaweed each week throughout the growing season. We have a resident landscape designer with many years of experience who can help you design a new garden or just freshen up an old one. See our Landscape Page for more details. We have a vast range of products for your home and garden, so come in and be inspired.